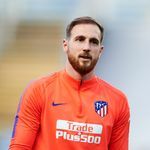 Atletico Madrid goalkeeper Jan Oblak has signed a four-year contract extension keeping him at the club until 2023. The 26-year-old, who signed from Benfica in 2014, has played 203 times for Atletico Madrid, keeping an impressive 115 clean sheets. “I’m very happy to have signed a contract extension and to be here. I’m going to defend these colours to the best of my abilities and continue working hard,” Oblak told the club’s website. The Slovenia international has been awarded the Zamora Trophy three times in Spain – an award presented to the goalkeeper with the best game-to-goals-conceded ratio in La Liga. Oblak was an integral member of the Atletico side which finished runners-up in the 2015/16 Champions League and won the 2017/18 Europa League.